In the last issue (#80) we discussed the obstacle Losing Focus - Decline in Business during Sale Process. In this issue we will discuss another obstacle: Lack of Flexibility in Negotiations. Negotiations in the sale of a business are never easy. You need to be prepared for an emotional roller coaster ride. In small business sales, in most instances, negotiations are between a first-time buyer and a first-time seller. The negotiations typically involve the biggest and most important transaction of both parties' careers. And both parties are usually Type A personalities, further complicating the ability to reach an agreement. Here's how Wikipedia describes Type A personalities: "The theory describes a Type A individual as ambitious, aggressive, business-like, controlling, highly competitive, impatient, preoccupied with his or her status, time-conscious, and tightly-wound. People with Type A personalities are often high-achieving "workaholics" who multi-task, push themselves with deadlines, and hate both delays and ambivalence." Does that describe you pretty well? That same description will also likely apply to the buyer of your business. Both parties are used to "having it their way." In light of that, it is not surprising that business sale negotiations are so difficult to conclude successfully. As emphasized in other issues of this newsletter series, preparation is the key. 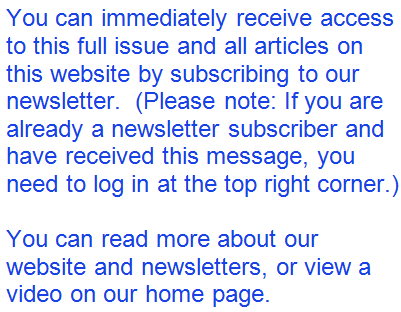 Hopefully, the first two paragraphs of this newsletter help you understand the need to be flexible. Imagine trying to negotiate with yourself! Thorough preparation before selling your business can help minimize the likelihood of contentious negotiations. Especially by pricing the business reasonably and disclosing known negative issues up front, you can eliminate the source of major problems. Overpriced businesses and known but undisclosed “skeletons in the closet" are major hurdles that usually result in failed negotiations. The good news is that those issues are within the seller’s control and can be addressed early on in the process. Assuming you've done so, there will still be numerous areas of unresolved conflicting interests that will require negotiations. In addition to price, following are examples of other unresolved issues open to negotiation: undesirable due diligence requests (asking to speak with employees or customers), the structure of the sale (asset sale vs. stock sale), non-compete agreement terms, consulting/training agreement terms, purchase price allocations, seller financing requests from the buyer, terms of seller financing and security, accounting measurement issues (such as work-in-process or inventory), earn-out terms (contingent portion of a purchase price); language of representations and warranties made by the seller in the definitive documents, etc. The key to successful negotiations is to maintain flexibility. Recognize your Type A personality and subdue your urges. Be patient, do not be overly aggressive or controlling and most importantly - listen. Try to determine why particular aspects of the terms being negotiated are important to the buyer. Ask him to explain his reasoning. Listen. Then create a list of unresolved issues and determine which of the items remaining to be resolved are most important to you. Explain to the buyer why certain terms are so critical for you. Determine which of his important issues you can compromise on, subject to his willingness to compromise on your important issues. Let the buyer know you are interested in a win-win situation where both parties feel good about the negotiated settlement. It may take several rounds of open communication to resolve all issues, so maintain your patience. Depending on the nature of issues and where you are in the sale process, your intermediary can handle most of the communications in negotiations. In most instances, it's better to present solutions in writing - through formal offers and counteroffers. At times, you might consider face-to-face negotiations, but always include the broker as a buffer in case things get explosive. If you can't work things out face to face, a good intermediary might still succeed in helping the parties to find mutually acceptable terms. Although you've probably involved your attorney prior to the writing of the definitive documents, it is imperative to control your attorney at the final stage. Use your attorney as an advisor, not a negotiator. Many attorneys tend to try to dominate in negotiations, and when negotiations occur between the lawyers for the buyer and seller, both cannot dictate the terms. As in the negotiations between buyers and sellers, solutions need to be "win-win". Every business sale transaction has risks on both sides. Tell your attorney up front that you want to understand the risks, but you also want to make a deal. Let him know you intend to be the decision-maker on any contentious issues. As opposed to communicating directly with the buyer's attorney, ask your lawyer to communicate through your intermediary.